A joint venture between K4ETN, K1LXN, KK4FPB, W4TRC, K4MFD and W4YSF, FusioNET (which stands for North East Tennessee) is proposed to bring 5 new 440 MHz System Fusion repeaters to the Tri Cities region. With repeaters in Jonesborough, Johnson City, Gray, Kingsport and Greene County, the system will be linked via VoIP to provide digital C4FM voice to users in the Tri Cities area. This system will operate in Automatic Mode Selection, allowing analog users to also access the system. FusioNET will use the new Yeasu DR1X repeaters that will be linked via VoIP(Voice over Internet Protocol). Some equipment is already in beta testing and interface mode, the site infrastructure equipment(antennas, feedlines, cabinets and racks) are being collected for the sites. We strongly encourage users to invest in any of the Yeasu System Fusion digital radios to take full advantage of the great feature set that is provided in these radios. 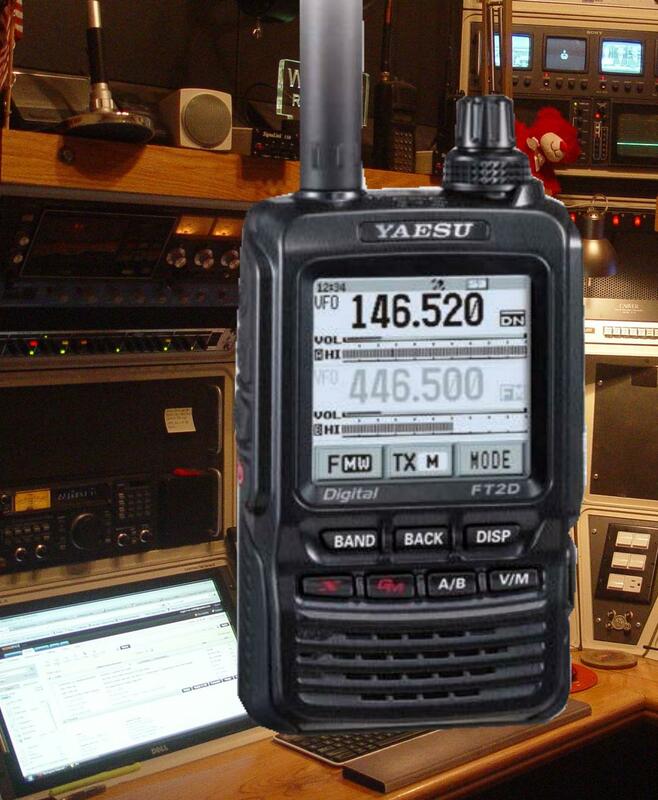 GPS and APRS is standard in the Yeasu digital radio feature set. Timetable: As everyone knows, not all projects go as planned. We have had several slowdowns beyond our control. The analog linking is going to be installed first, debugged and tested. Four sites are currently linked as of 3/1/2017: Site 1 Jonesborough, Site 3 Grey, Site 4 Kingsport and Site 5 Viking Mt. The other sites are being worked on, with our largest project at Site 2 not starting until after the New Year (2018). Once all of the repeaters are functioning on the system in analog, we will then start on the C4FM Digital side of the link. This will be totally transparent to the end users, pick your best local repeater in the system and use either mode. Obviously, the system will not allow for simultaneous analog and digital transmissions. It will work as any other stand alone Fusion repeater that is setup in AMS/AMS. USER INFORMATION: Due to the VoIP linking protocol, it takes a second or so for all of the repeaters to come online when you access the system. Please allow at least a full second of holding down your PTT before speaking. 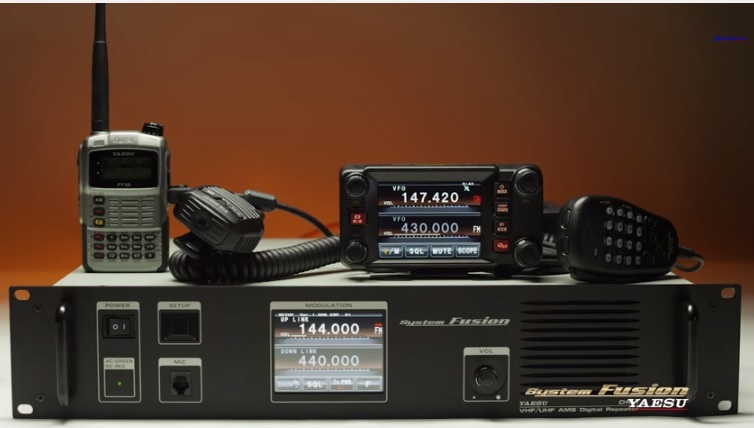 This will help with not losing the first couple of letters of your call sign. Please wait and let the system drop before rekeying and allow others to enter the communication in progress. Site 3- Gray, TN KK4FPB/R 442.500 + 118.8 analog tone Status: ON THE AIR- FUSION AMS and ANALOG LINK ACTIVE. NOTE: LIMITED COVERAGE IN THE Gray Community due to antenna location at this time. Will be resolved as soon as weather permits. Site 4-Kingsport, TN (Bays MT) W4TRC/R 443.325 + 123.0 analog tone Status: ON THE AIR FUSION AMS and ANALOG. LINK ACTIVE. Site 5- Greene County, TN (Viking Mt.) K4MFD/R 444.200 + 118.8 analog tone Status: ON THE AIR FUSION AMS and ANALOG, LINK ACTIVE. Projected coverage area. Please note that this coverage plot does not include provisions for HT coverage. Your results may vary due to terrain or other rf anomalies. We welcome comments or questions from you and hope to provide a network that users will enjoy throughout the North East Tennessee region.